This packet has 11 fact tests that have 50 problems each. 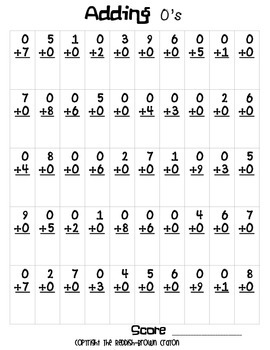 There is a test for each set of facts from +0's to +9's and a mixed up addition test at the end. 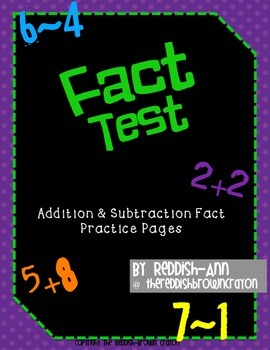 You can use the packet to test your student's mastery of each set of facts. 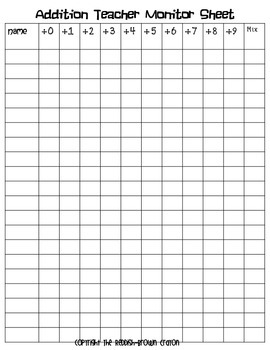 Give students a timed test and keep track of their progress using the teacher tracking sheet.